This is an excellent article from American Camp Association! 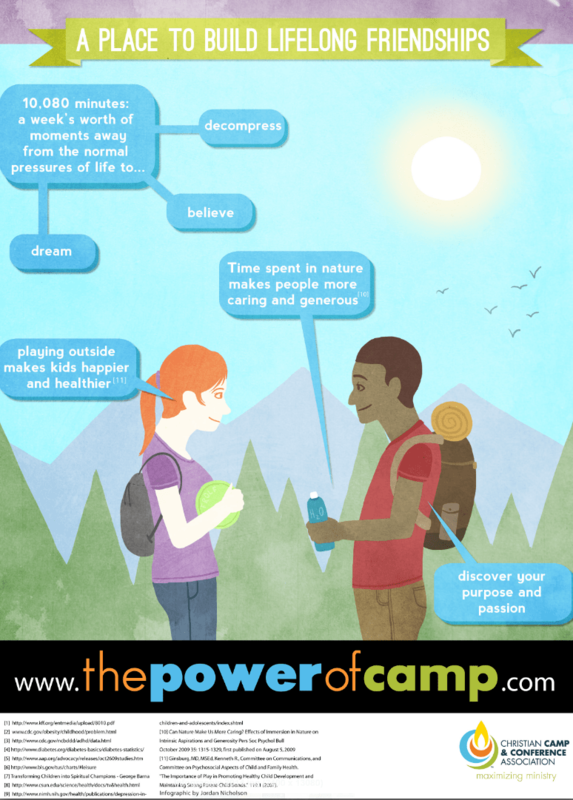 In summary, it promotes the fact that at the heart of camp are the things that build up people. Hardships. Failures. Homesickness. I would add, fun, relationships and the outdoors go a long way in this building of a person. This post is about money and time. These are two scarce resources. By the end of the post, I hope to have made a great case for why you might like to accept my invitation to come and give time to camp, or give money, or both. In the giving of these two scarce resources, you will be happier! I stumbled upon two blog posts this past week, both dealing with the data that shows giving things away (especially money and time) make people happier. In 2003, while working on a book about charitable giving, I stumbled across a strange pattern in my data. Paradoxically, I was finding that donors ended up with more income after making their gifts. This was more than correlation; I found solid evidence that giving stimulated prosperity. Psychologists, I learned, have long found that donating and volunteering bring a host of benefits to those who give. In one typical study, researchers from Harvard and the University of British Columbia confirmed that, in terms of quantifying “happiness,” spending money on oneself barely moves the needle, but spending on others causes a significant increase. I have seen this over and over again. I’ve been working for Bethany Birches for 10 years now. One of my primary responsibilities is to reach out to supporters and would-be supporters and share the power of camp with them. It’s amazing. When people are here, at camp, they meet and impact young people. Often they catch a vision of a better world. They are inspired to adjust aspects of their own lives, encourage young people and give to the camp. It’s magical… or perhaps a better word is mystical. Mystical is a better word, I think, because it makes room for the possibility that in this process of relationships and service (giving of ourselves and our resources), God enters. The second post is from a blog I subscribe to called Generous Matters. In her post, Rebekah Basinger references Brooks’ post and adds some of her own words. Here’s the problem with all this. It sounds suspicious. Until you experience the joy that comes from giving your time and money away, especially to those who need it (like young people at camp), you can’t quite believe that it can provide meaning and happiness. …#WithGod BBC used Mission Possible as the summer-long theme based on Matthew 19:26. Campers were challenged to be #WithGod both at camp and at home. The Mission Possible theme also explored how we can be #WithGod and why it matters. Shepherds invited campers to be #WithGod in all aspects of life. …#WithGod BBC is working towards a new pavilion. Each Friday night campers shared with their parents various reasons why camp needs a new pavilion. Mission Possible: The Pavilion Project is building momentum with 1.2 million of the 1.8 million dollar goal committed. It is hard to believe that the holiday season is already fast approaching. It feels like it was just a few weeks ago that my husband and I were bringing our girls to camp for teen week; now we are planning for their return for the first Teen Connect weekend. Time moves quickly and with our Pavilion Project slated to break ground next August, the board has been busy overseeing preparations for this to happen on time. We are currently in the process of selecting a construction manager to coordinator the day-to-day activities of the project. As Bethany Birches moves forward on this major undertaking, the board is mindful of the need to do this with minimal impact on our ability to continue the main mission of the camp – providing all children with a place to find God. We are also well aware of the importance of the old pavilion in so many people’s lives. 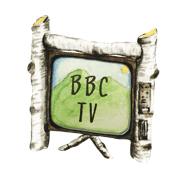 Plans are being considered for an event next summer to pay tribute to the building that has been an important part of BBC for so many years. Having not been a camper at Bethany Birches as a child, I enjoy any chance I have to be a small part of summer activities. This past summer, I had the opportunity for a second year to assist with medication drop off during registration. It is amazing to see what a well-oiled machine BBC is when it comes to welcoming campers. It was fun to be there to watch the staff interacting with campers and each other. I understand why my daughters love to come to camp. It is also wonderful to see how my girls bring camp home with them. This summer, in fact, they took BBC abroad. 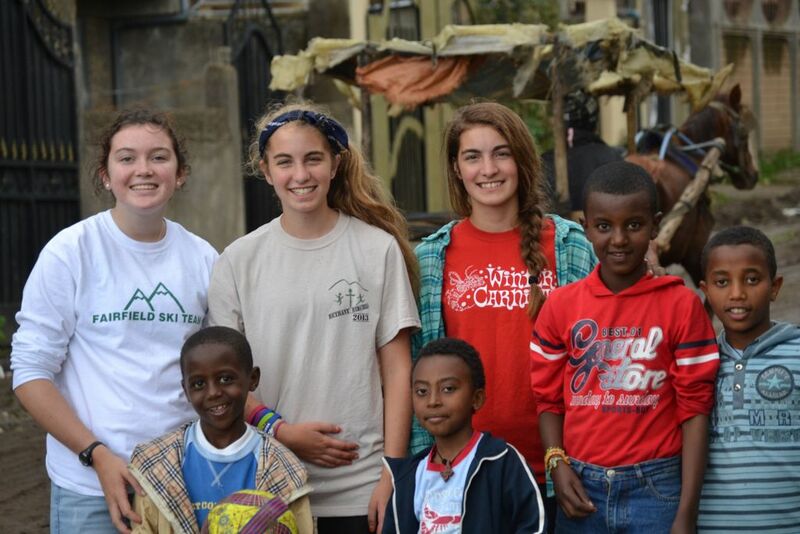 My daughters, Katie and Annie, and their friend (and fellow BBC camper) Flossie traveled with me to Ethiopia. Bethany Birches traveled with us in many ways – music, stories, Dutch Blitz and, literally, the clothes on their backs. In each of their suitcases, there must have been at least 2-3 articles of clothing that came from BBC. All of these pieces of camp are literal reminders of the knowledge that God surrounds them and stays with them wherever they go.